Authors who have used CreateSpace for publishing paperback print-on-demand editions of their books will be aware Amazon is closing CreateSpace and transferring all books to the new Kindle Direct Publishing (KDP) print book facility. Authors were offered the option of either instigating the transfer of their books themselves or to wait for it to be actioned by KDP. No matter which option an author opted for, the following remains relevant. It would have been natural, considering KDP had set up the system, for authors to assume all relevant details and information held within the CreateSpace system would automatically transfer ‘as is’. Unfortunately this has proven NOT to be the case. Though some details, in fairness the majority, have transferred across there are a few anomalies which authors are advised to check. Note: Though not all details transferred correctly, the majority of books remained available for purchase. As said there are a number of matters authors should check. There are also a few enhancements they may wish to take advantage of. By default (reason unknown) the ‘Rights’ for all books transferred are set to ‘Individual Territories’ regardless of what rights were set within CreateSpace: KDP will have pre-selected the territories. The Individual Territories option is normally selected where the author does not hold worldwide rights. With this option the author, usually, has to select which territories (countries) they do hold the rights for. ’Individual Territories’ impacts (limits) where a book may be sold. In the majority of cases authors hold worldwide rights and consequently need to correct the option. This is a simple process merely requiring them to check/click the appropriate button. Three points to consider: Print Costs; Expanded Distribution; Royalty Percentages. Print Costs: Print costs within KDP are higher than they were within CreateSpace (again reason unknown). Naturally, this has an impact upon saleability and royalties. Authors need to seriously consider the pricing of their books, ensuring they deduct the print cost first. The KDP system is helpful with this as it shows all relevant pricing, costs and royalties in a simple table format. KDP sets a minimum price range but thereafter it is up to the author to consider an appropriate amount. This, of course, will depend upon their primary objective: to make money or to get the book into more hands. Undoubtedly, most would prefer to have both but for the majority there has to be a decision one way or the other. Reminder: It is only paperback print-on-demand editions that are under consideration here. Digital edition (e-book) pricing is an entirely separate matter unaffected by the transfer of paperback editions. Expanded Distribution: All authors like to make their books available to as many outlets as possible: Bricks and Mortar Bookshops; Libraries; Academic Institutions; etc. ‘Expanded Distribution’ provides for this. HOWEVER, they should be aware to have a book included raises the minimum price permitted by approximately one third (1/3). This can have a significant impact because no matter who the purchaser is e.g. an average lay person, they have to pay the higher retail price. Authors would do well to consider each book on its own merits when it comes to making this decision. 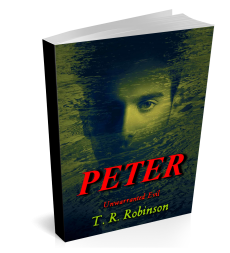 For example: T. R. Robinson currently has nine published books. Five are full length and four are short stories (part of a series). Though expanded distribution may be suitable for longer books, the consequent increase in price for having the short stories included makes it, realistically, unviable. Again the decision is the author’s but they are advised to consider the issue seriously. Royalty Percentages: These appear to have changed from CreateSpace’s 70% and 35% to KDP’s 60% and 40%. The KDP table format mentioned earlier clearly defines the royalty payable. Again authors should take time to consider how pricing etc. will impact their potential income. During the check process authors are advised to also look at the book format details carried forward: Paper (Cream or White) ; Interior (usually Black and White); Cover (Gloss or Matt); Trim size; Bleeds. In most instances these have been carried forward correctly nevertheless, it is worth checking. This issue has affected some but not all nevertheless, it is worth checking. After books have been transferred some have found the Amazon book page description had been cut-off after two lines. No one seems to know why this is. It is therefore worth the author’s time to check the retail page for each of their books. Any change, if there has been any, may be corrected within the KDP dashboard. As already stated, this does not appear to be a general issue with only a few affected. The remainder of details: language; title; sub-title; series information; keywords; categories; age range; etc. appear to always be correct. Nonetheless, as the author is going to be checking other details it would be just as well for them to give these a cursory glance. This issue may not be related to the transfer of books nonetheless, it is worth checking. Subsequent to the transfer some authors have, sensibly, checked related displays for their books. A few have found not all books appear in their Amazon Author Page. Whether this is related to the transfer or not is of no matter because the only way to correct it is for them to sign-in to their author page and select the Add Book option and follow the adding procedure from there. Apparently some authors who have images within their book(s) have experienced problems with the transfer. It is understood, in these instances, an enquiry has to be raised direct with the KDP team detailing the individual circumstances. Whereas CreateSpace provided for five (5) keywords, KDP permits seven (7). Keywords can play a vital role in book discovery therefore the more words/phrases included the better. Authors really should take advantage of this additional option. CreateSpace only enabled one (1) category to be added. KDP provides for two (2). Of course, it is not necessary to have two categories entered however, as with keywords, the more the better because it increases the pool of potential readers who may discover the book. Note: This only applies to a book’s dashboard. It does NOT affect Amazon book retail pages. Author’s will note, at the top right of each book’s dashboard panel, there is an option to link editions e.g. to link paperback and e-book editions so they appear together within one panel rather than two. If not linked there is the potential for alternative editions to be displayed on different pages which can be confusing and misleading. Linking makes for a cleaner, more manageable dashboard. Clarification: When using this option authors need to be aware, once they have submitted the title search, any located title will be displayed in the larger panel below the search bar with a confirmation button below. Before confirming they need to highlight the title, even if there is only one. If they do not the system will not link the editions. KDP does not permit a user to quickly edit any of a book’s details. To action any change, including those outlined above, an author has to go through the complete publication process: almost identical to setting up a new book or making major changes. A pop-up message will be displayed indicating the book has been sent for manual review. Authors need not worry because the book will be shown as ‘Live – Updates in review’ and will continue to be available for readers to purchase. Once KDP has followed its own processes the author will receive an e-mail stating: ‘Your paperback book is available in the Amazon store!’ In effect this is simply a confirmation all details have been updated. That is it: All Done! Authors will note, in the paperback edition panel of a book’s dashboard, an ASIN (Amazon Standard Identification Number) will be displayed. Up to this point authors will have understood ASIN’s were only appropriate for Amazon’s digital (e-book) editions. They still are. Amazon has simply implemented this for its own purposes. The ASIN does NOT replace the ISBN that all physical editions of a book must have. In fact, a closer look will reveal these new ASIN’s are actually the ISBN 10 number. Presumably Amazon just find it easier to record activity etc. by this means. It is likely, as it was with the writer, many authors are unaware of the issues described above. If anyone reading this has come across other elements or issues not covered here, please add details in a comment so all authors may benefit from that knowledge and experience. Authors helping authors is a good concept. This is the most comprehensive and easily understood guide to this topic I have seen – well done, and i’ll be sharing it!